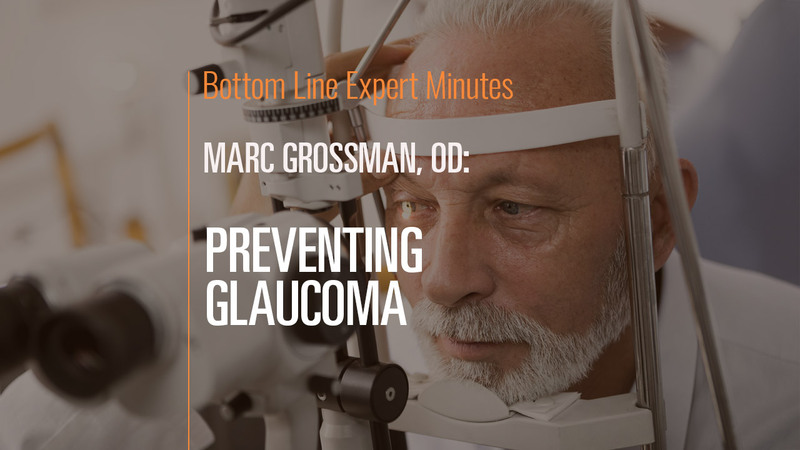 In this video, Marc Grossman, OD, LAc, holistic developmental/behavioral optometrist and licensed acupuncturist, discusses what steps people can take to prevent glaucoma. Glaucoma is thought of as high eye pressure, but it actually is a disease of the optic nerve. When it comes to prevention, the goal should be to keep eye pressure normal and the optic nerve strong. Things that help keep eye pressure normal include regular aerobic exercise, gentle massaging around the eyes and the herbal supplement coleus. The supplements alpha lipoic acid, taurine and ginkgo biloba support optic nerve health. Also consider taking bilberry and grapeseed extract for eye health. Everyone over age 50 should have a comprehensive glaucoma baseline evaluation that measures eye pressure, optic nerve health and peripheral vision. This baseline is used to measure tendencies toward glaucoma over time and allow for preventive care before the problem becomes severe.